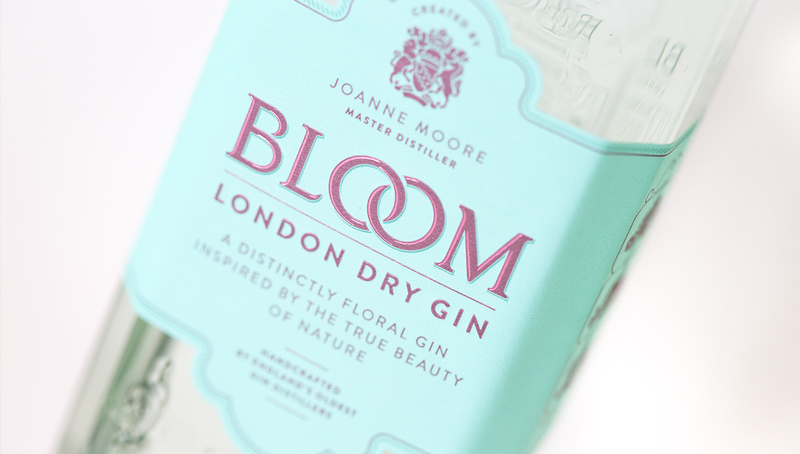 Bloom was created by master distiller Joanne Moore as a gin inspired by nature that would appeal to confident, intelligent women. 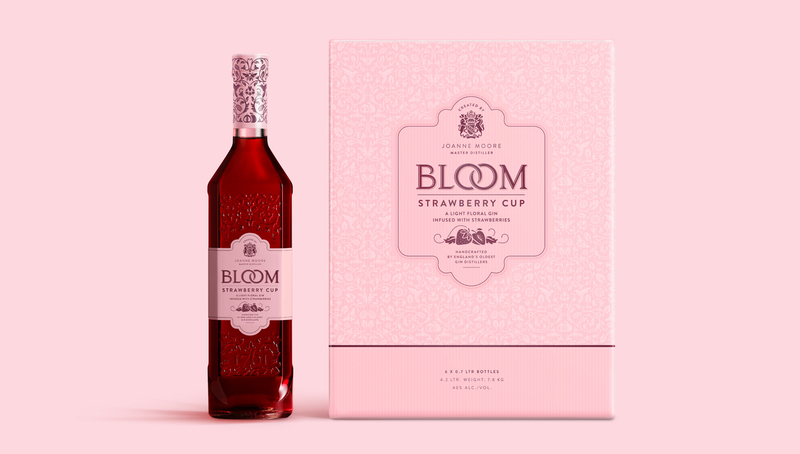 Whilst the product has been highly acclaimed and well received by the target audience the packaging lacked stand out and pull. 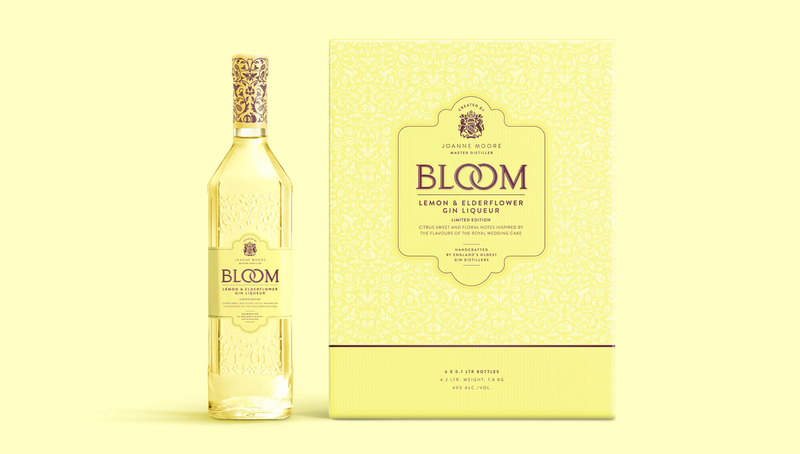 Bloom’s packaging disappeared on shelf due to its recessive labelling and because it was often placed at the back of the bar behind other bottles. 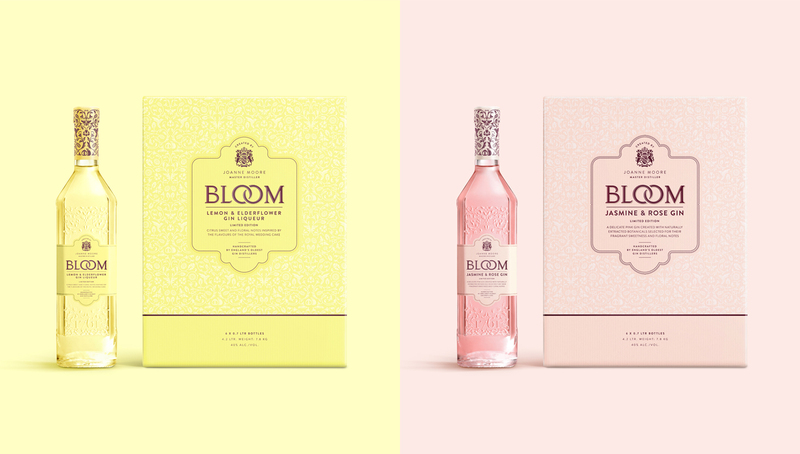 We felt that there was an opportunity to not only bring the brand into the spotlight, but also use the packaging for storytelling about the inspiration and the botanicals behind Bloom. 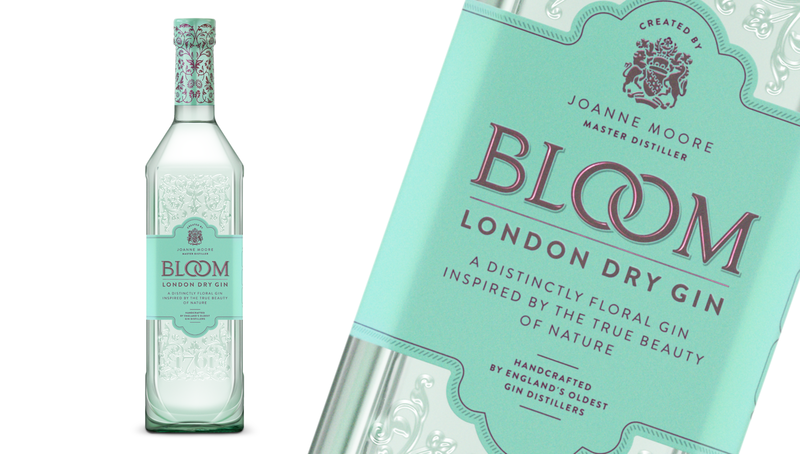 Our design celebrates the beauty and delicate balance of nature that Joanne captured through the drink. 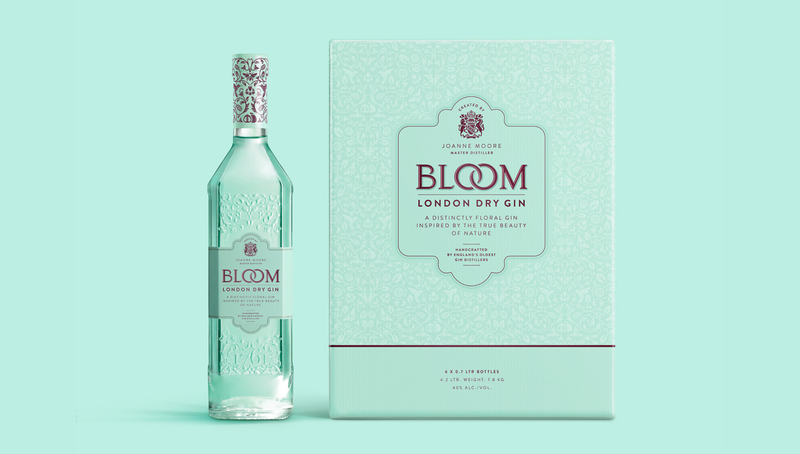 We brought this to life through our illustrative pattern that captures the botanicals and the inspiration behind the recipe. 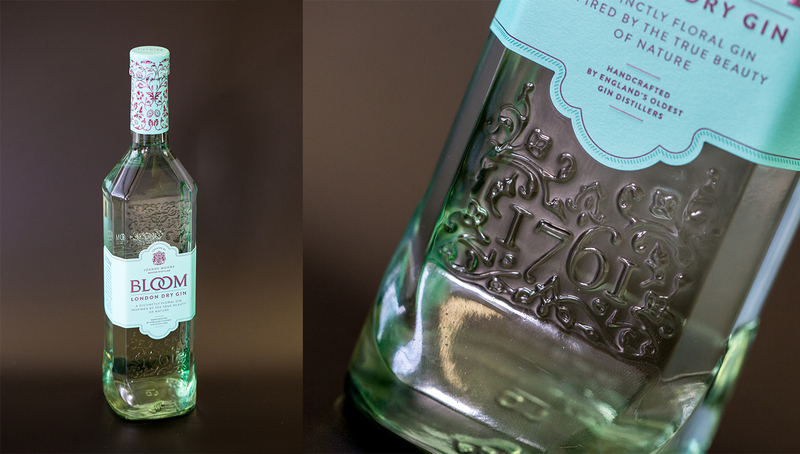 To increase shelf stand out we increased the label size, creating a unique shape that would become recognisable to the brand. 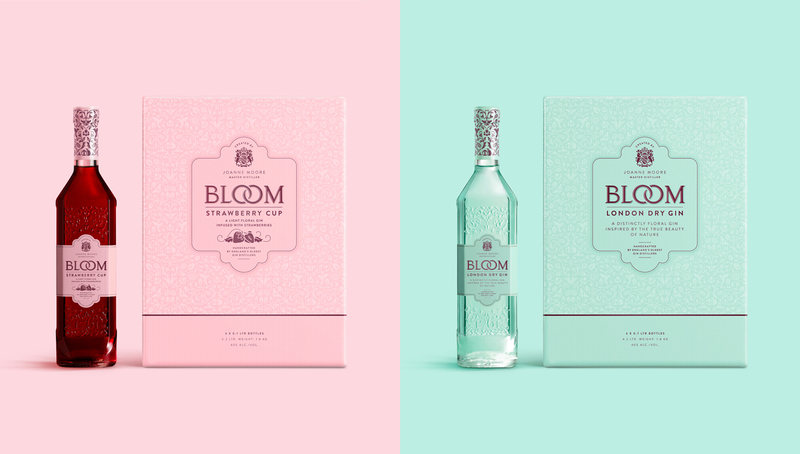 Changing the substrate of the label and the neck collar from transparent PSL to opaque paper and foil increased quality perception as well as stand out. 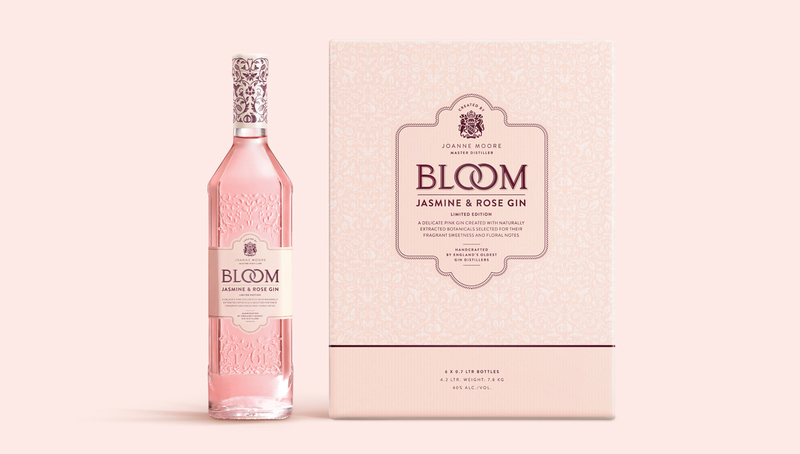 We have also extended the range to include Summer Cup, Jasmine and Rose and Lemon and Elderflower to take the brand into a variety of different seasonal occasions.